Super Mario Party SuppliesThere are 6 products. 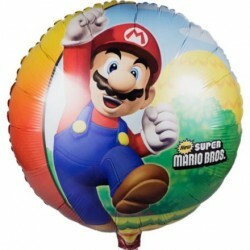 Our Super Mario Bros. Stickers can make fun party favor items or a fun activity during the party. These stickers are sold with four sheets to an order and several stickers on each sheet. 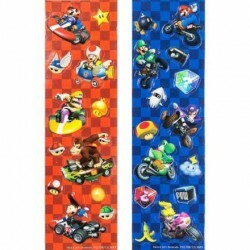 The stickers feature Mario characters racing in their mobiles like in Mario Kart. 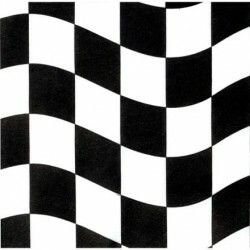 They wave the checkered flag at a winner; wave these Racing party Napkins (18-pack) for your guests. 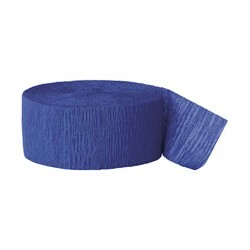 These facsimiles of the winning flag are great for spills or personal clean-ups. 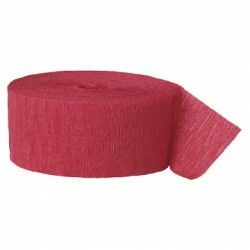 These napkins are sure to make your party last for many laps. 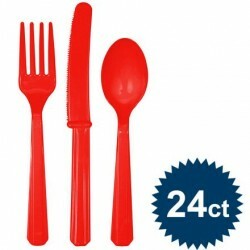 You can use the Red Cutlery Set for a wide variety of party themes including Elmo, firefighter, and ladybug parties. This item includes 8 red spoons, 8 red knives, and 8 red spoons. They're a great way to add color to the table.